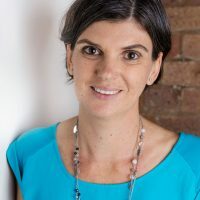 A lot of the time people ask how mum is doing after having twins or triplets, which of course is perfectly fine and needed as they have gone through a huge transition and a lot of changes are still happening both to their bodies and their lifestyle. Many people though do not ask how dad is doing. Dad normally goes back to work quite quickly – if he even had a chance to take time off work, to begin with. He not only needs to learn to look after multiple babies he needs to continue providing for his family and he needs to be there for his partner through all the sleepless nights and hormonal changes. 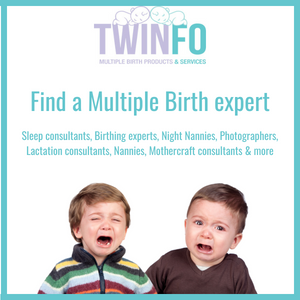 The life of a working dad of twins or triplets may sound easy right? He gets to leave for 8 or so hours a day and then come home and rest after work. This is not the case and it is not as easy as it sounds. A working dad of twins or triplets means that there is going to be a lot of time out of the house for him and away from his newborn children. Not only that, he needs to then go to work on a lack of sleep and work the full day before coming home to his family. His day normally begins quite early and after being woken up throughout the night to crying babies he then needs to make the trek to work. He is working on minimal sleep and trying to still concentrate and work to his best capacity. Once work is over he comes home to his family. Then he begins his second job, helping with the family. Changing nappies, helping cook dinner, spending time with the babies and helping tidy up if needed. Being out of the house during the day means that during the evening is a great time for dad to be able to bond with the babies. Letting dad do the bath time routine is a great way to let them have some bonding team. Either cooking dinner or feeding the babies will his partner cooks dinner means that both are able to get different tasks done and reduce the stress on each other. Once the babies are in bed it gives mum and dad some time to each other, a time to reflect on the day that they have both had and discuss anything that has come up, however, a lot of the time both are probably too tired to be doing too much and can even end up with an early night for all. As mothers, we are hormonal after having babies. We can deny it all we want, but it happens. It can be due to breastfeeding, hormonal changes, anxiety and lack of sleep. Because we are home most of the day with the babies, once our partner comes home we can tend to take our frustrations and hormonal moments out on our partners. This is a huge thing that the dad deals with. Normally they know it is nothing against them and that it is just their partner’s way of de-stressing. 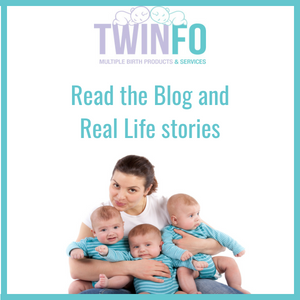 A supportive dad and partner make a world of difference and before you judge and think that the dad of twins or triplets has it a lot easier than the mum, stop and think about all the things that they are also doing. Mum may be at home with the babies all day, every day but that does not mean that the dad is not doing his best and providing as much as he can in every way that he can. So next time you see a dad of twins or triplets, give him a handshake and let him know that he is doing a great job.